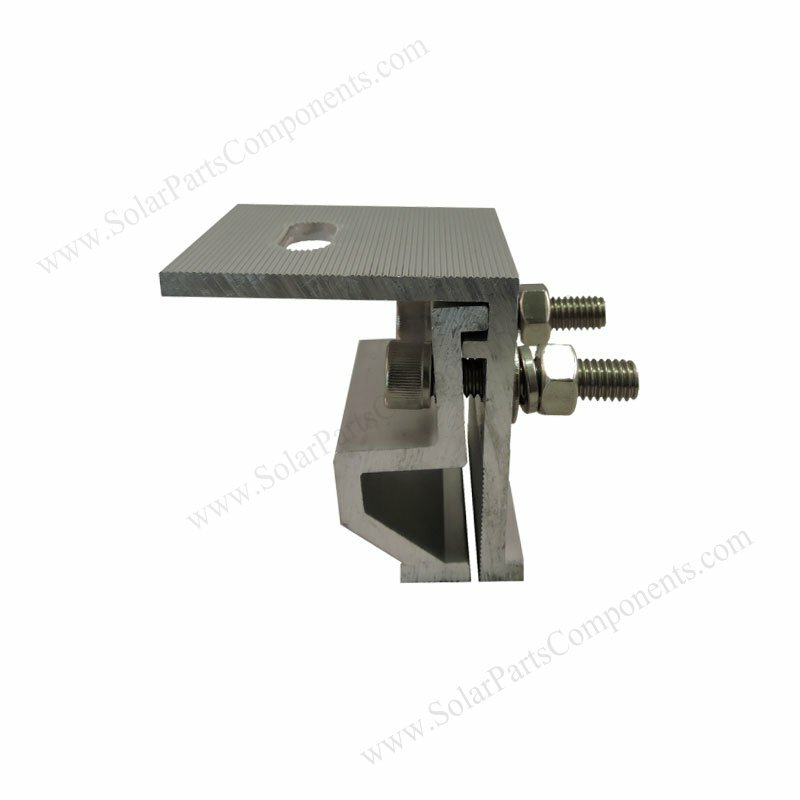 Our solar L foot clamps can work well for both new or retrofit corrugated metal roofings. 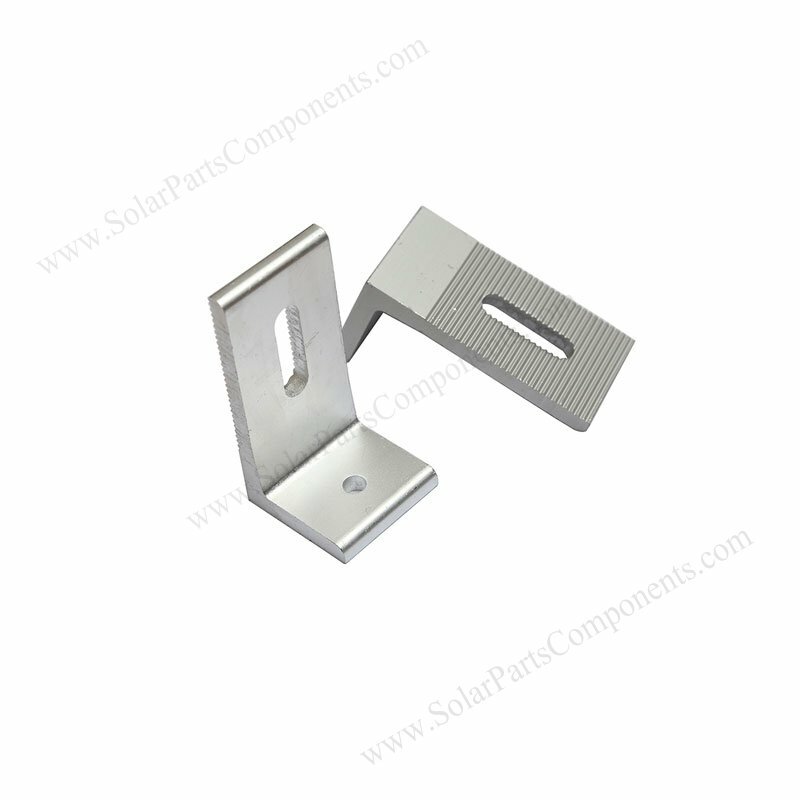 Solar L bracket is made of permium aluminum and is affordable in prices comparing stainless roof clamps. By using rubber gasket under L foot base, it can prevent rain drops well . You can dip a little mastic on screw, it can also help as sealant when installing . Our mill finishing zinc metal roofing L foot can be installed in cold, hot weather as good performance in high – tensile strength, AL 6005 – T5 standard alum material . 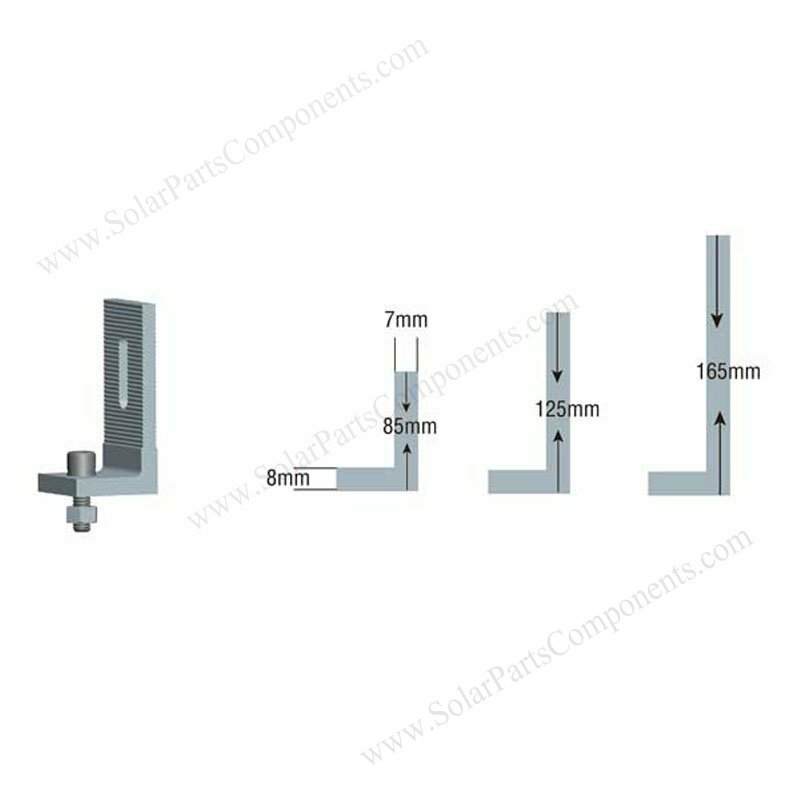 This solar L bracket is developed for both residential and commercial corrugated metal rooftop mounts . 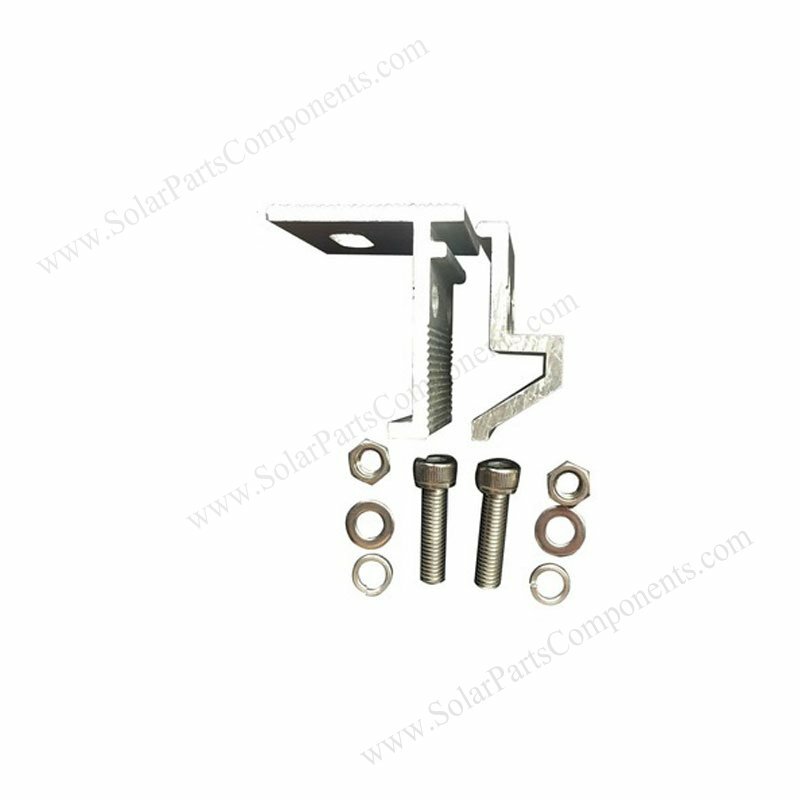 These L feet clamps can support solar panels freely installed on even or sloping roofing. 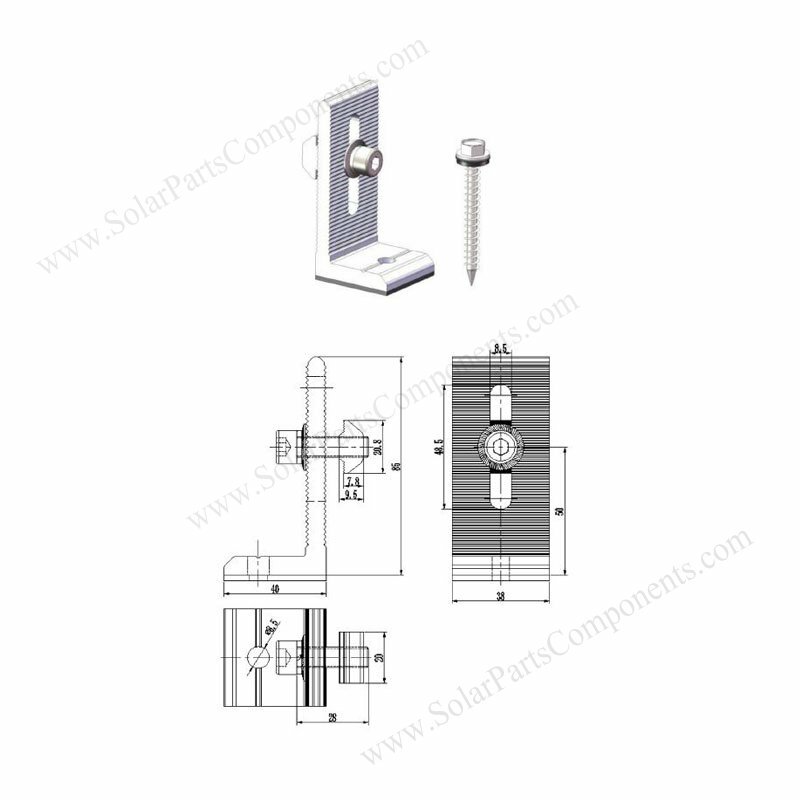 This L-Foot kits for alum railing footing includes : L-foot, rubber insulator, screw, bult and nut . (4) 25 Years long life designed . c) one piece of stainless steel screw .